Please print the list out and take it with you. 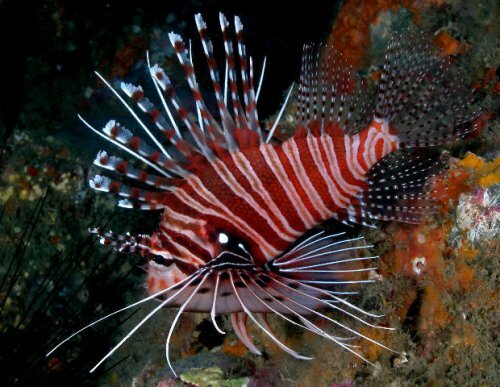 The most dangerous things on a reef don't move a lot (coral, sea urchins, eels in holes, stone fish, etc.). Just being aware that those things do exist and watching out for them will save you a lot of grief (and pain). Also, remember that cone shaped shells are poisonous and must be handled with extreme care… do not put them in a cloth sac that might rest against your body. The harpoon-like stinger can reach almost 3/4 the length of their body, so always handle them by the large end, never the pointed end. 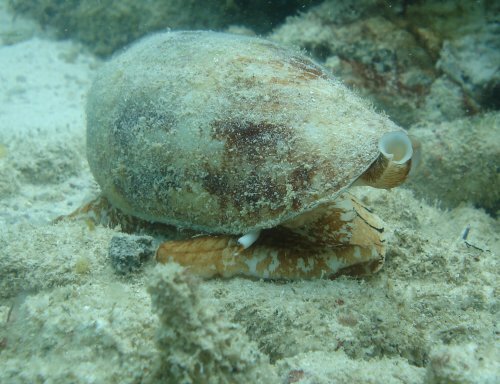 Several species of cone shells can kill you. I would suggest you snorkel inside the reefs only, if you are a beginner. If you plan on seeing live seashells during your dive(s), then look for fairly shallow areas with lots of loose rocks. Wear a pair of gloves and thick-soled reef walkers (shoes). When diving during the day, carefully (remember the sea urchins and stonefish) turn the loose rocks over, even the small ones. This is where you will see shells from the cypraea family. When you first see a shell, it might look like a slug, as the animal has a tendency to cover the entire shell. A light touch is usually enough to cause the animal to retract and expose the shell. You may have to turn over several hundred rocks to find a few shells. If there is sand under the rock, dig lightly, you may uncover a cone, mitra or other sand dwelling shell. Some areas are too shallow to swim in at low tide. We prefer to snorkel for shells as opposed to "reef walking", less chance of damaging the coral and ourselves. Use common sense and know the average depth of the area you plan on searching, with or without the tide, we prefer 2 to 4 feet of water. Diving on a moonless night will give you a better chance of finding more unusual shells, as they will exit their holes in search of food. 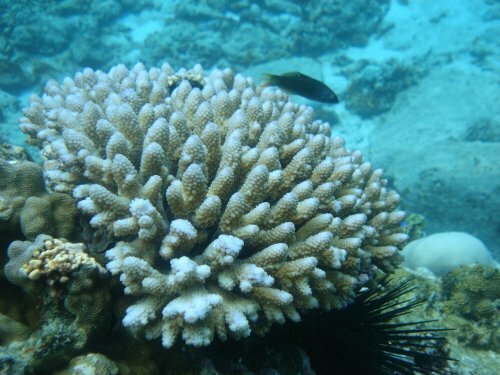 Again, look in and around small holes in the coral… especially on the roof of the openings. If the bottom is sandy, look for trails in the sand. Once you have found the live shells… how do you clean them? Try this method if you have the time… take a small glass container with a lid that seals tightly (an old wide mouthed jelly jar works great). Fill the jar with enough vegetable oil (the cheapest you can find at the grocery store) to cover the shells (don't put them in yet). Mix in baking soda (not powder, soda). The ratio should be about 4 parts oil to 1 part soda by volume. The soda will NOT dissolve, but will suspend itself in the oil for awhile. Carefully put the shells into the mixture and cover it tightly. Let the shells soak in the mixture for at least a week. The soda will settle to the bottom and hopefully cover the shells. DO NOT open the jar indoors! Your spouse will throw you out of the house… it will really stink.